Last Door has qualified, effective staff and programs to treat co-existing addictive disorders. 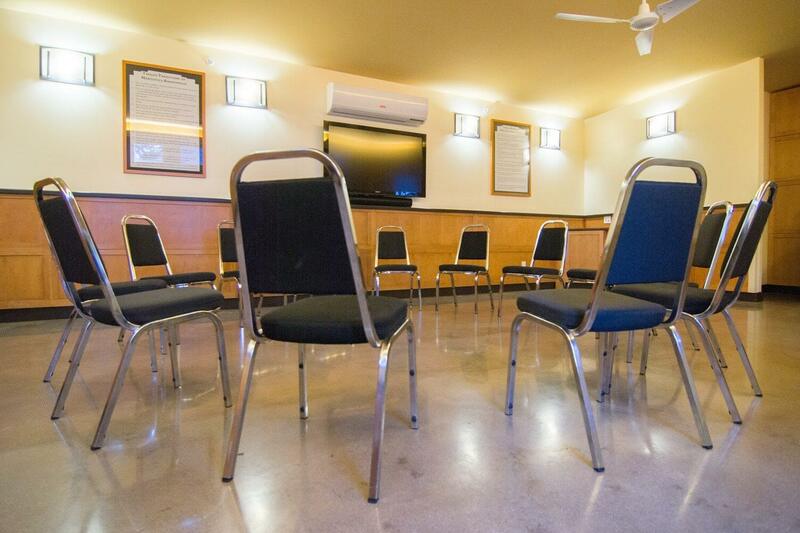 Staff training includes Level I and Level II Advanced Problem Gambling Training, Compulsive Gambling/Ethics and Family Treatment Training as adjuncts to addiction training for both adult and adolescents presenting with co-occurring gambling and substance addiction. Last Door’s Problem Gambling program uses the South Oaks Gambling Screener to detect pathological gambling and streams those clients into specialized daily group sessions, weekly experiential groups and family groups. Last Door also facilitates access to community resources and supports like debt counselling and financial management as components of recovery from gambling disorders. Not sure if you have a gambling addiction, or need residential treatment? Take our self test now. There are 24 hour free gambling counselling available from Problem Gambling Helplines across the country, Google your community help line. Take a moment to watch the Testimonial of an Alumni, and his results from treatment for gambling addiction. Diagnosis is KEY – but difficult. South Oaks Gambling Screen generally agreed as the best screener. How bad is it (social cues)? What are warning signs? Who are gamblers – WE ALL ARE to some degree. Male 25 under largest growing group of problem gambling group wordwide. Risk Takers, Impulsive, social problems…..
What treatment strategies work?….Counselling, Self banning from Gaming venues, Interventions, Residential Treatment, 12 Step…. How does gambling pathology relate to pathology of other addictions? Gambling group is a focused therapy group designed to educate clients on the aspects of problem gambling and media addictions and discuss day to day challenges with learning to be free of these self defeating behaviours. Provide awareness and healthy alternatives and prevention tools. Define individual treatment plan related to gambling and or media use. Guide healthy choice alternatives post treatment, and effect positive peer influence. Once an individual has been exposed to gambling, they may be unable to predict or control the extent to which they will continue its use. Gambling addicts must have more and more social media to sustain their “high” and avoid the intense “crash” and anxiety that occurs when they’re “out of touch” for any length of time. Gambling addicts become physically and psychologically dependent on the ritual and practise of gambling – the impact of this in various life areas is substantial. 26 attendees who have completed the curriculum of the Last Door Gambling Education Group. 16 of the attendees of the group have identified Gambling as their primary concern, rather than other types of media. Of the 16 members who indicated gambling as their primary concern, all 16 identified that their gambling usage affected three or more primary life areas such as family relationships, financial stability, and emotional wellbeing. Of the members who identified gambling as their primary concern, and who have completed the curriculum, all indicated that three or more life areas have majorly improved.